Golden Real Estate is a prominent member of the Denver/Jefferson County real estate scene. Based in Golden, we service both Denver and Jeffco, representing both buyers and sellers. We're well known for Broker Jim Smith's weekly "Real Estate Today" column published in the Denver and Jeffco editions of the Denver Post's YourHub section each Thursday. The column also appears in several weekly newspapers and is archived at www.JimSmithColumns.com. We have nine agents, all of whom are Realtors and EcoBrokers. Our office is solar powered and several of us drive electrics cars. Known for our sustainable practices, we accept polystyrene (aka "Styrofoam") for recycling, keeping 200 cubic yards per year out of area landfills. Call this “Short Attention Span” writing… There are numerous topics I’ve been wanting to write about that keep accumulating because I can’t fashion them into a full-sized column. So, this week, lacking a “big topic” that comes to mind, I’m going to clear the deck of these “tiny topics.” Maybe some of them will resonate with you! Experts recommend that you not put your home in your own name, but in a living trust. Why? Because people die, trusts don’t. When you die with a home in your name, a court has to decide who gets your house, even if you have a will. If it’s in a trust, you decide who the successor trustee is, and you can change the trustees over time. Plain vanilla VA loans — with no down payment up to $493,350 in the Denver metro area — are a great veteran’s benefit, but they do carry a “VA Funding Fee” of 2.15% of the loan amount. That fee drops to 1.5% if you put down 5% or more and to 1.25% if you put down 10% or more of the purchase price. (These rates are higher on a veteran’s second home and if the veteran is a Reservist.) On a $400,000 loan, that fee can total $8,600. But if you’re a veteran with a service-connected disability, the fee is waived. A lot of veterans don’t realize that they can buy homes well above the VA loan limit mentioned above. They can borrow 100% up to that loan limit and 75% of any amount over that limit. Thus, you could buy a $1 million home using a VA loan with a down payment of $126,662.50, or about 12.7%. Generally speaking, you need a 620 credit score to get a VA loan, but the VA doesn’t mandate a minimum credit score. 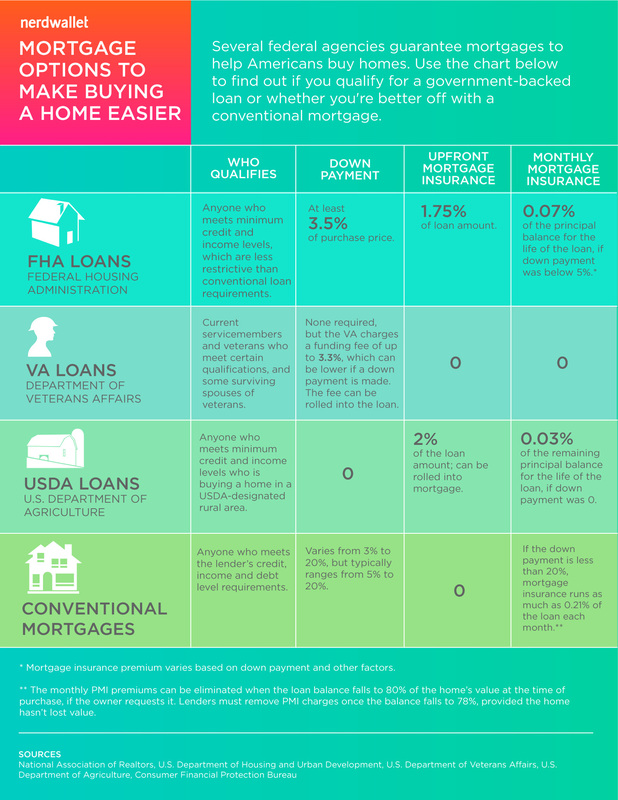 Another advantage of VA loans is that even loans with zero down payment are not charged mortgage insurance. One of the most valuable features of using a professional showing service is the automated request for feedback which is sent to the showing agent by email right after each showing. When you interview a listing agent, be sure to ask (1) whether they use a showing service (we recommend Centralized Showing Service, which dominates that industry), and (2) how many and what kind of feedback requests will be emailed to agents after the showing. CSS offers two kinds of emails — one with multiple choice survey questions which the agent (with your input) can write; or the non-survey kind which asks for feedback and provides the agent with an open text field. Because you can’t predict the feedback you will receive, I recommend you request the non-survey, open-ended kind of email request, so you get the most useful possible feedback from buyers. On April 3, the Denver Business Journal had a headline that read, “Tiny Houses Are Big Business,” and described the Sprout Tiny Homes factory in LaJunta, Colorado. The company makes five models up to 14.5 feet wide by 34 feet long and up to 760 square feet — less than the size of a 4-car garage. A tiny house was on Boulder’s Green Homes Tour last year, and the owners raved about it. Visitors, including me, liked what they saw, and it’s clear to me that tiny homes are going to continue to catch on. In Denver, tiny homes are being built as a partial solution to the homeless problem. Smart! Why Are Auto Manufacturers Still Building Petroleum Fueled Cars? I recently read a report (by the German newspaper Der Spiegel) that half the cost of building a conventional gas-powered automobile is related to the gasoline engine — everything from the cooling system to the transmission to the exhaust system. An electric car has just a battery and an electric motor, with only wires connecting them. Not even a transmission! Even without a further decline in the cost of the batteries — and Bloomberg predicts a 77% additional decline in battery cost by 2030 — building an electric vehicle is easier and less resource consuming, and is better for the environment. Volkswagen says it will produce 30 new models of battery electric cars across its 12 marques (which include Audi, and Porsche) by 2020. Consumers can help accelerate this conversion in manufacturing by declining to purchase cars which, I believe, are already obsolete. Perhaps you’ve seen my presentation on EV’s at www.GasCarsAreObsolete.info. I recently created a presentation on the broader topic of sustainability. You can see my PowerPoint slides at www.SustainabilityPresentation.info. Sometimes the “broker remarks” in an MLS listing will offer a cash bonus to the buyer if he brings an offer by a particular date or for full price. At Golden Real Estate, we do not condone this practice because of its questionable ethics. Agents are supposed to work in their clients’ best interest. “Broker remarks” are not visible to buyers, and there’s the possibility that an agent might steer his buyer to purchase a home solely because it earns him a higher commission, which would be unethical, in our opinion. We believe that any financial incentive should be offered to the buyer, not the agent. Published June 22, 2017, in the Denver Post’s YourHub section and in four Jefferson County weekly newspapers. When you buy a home, your lender will factor in several obvious costs of your purchase when approving your loan, but there are other less obvious costs which the lender doesn’t consider, but which you should definitely investigate. The costs your lender considers are your projected mortgage payments (consisting of Principal, Interest, property Taxes and Insurance, or “PITI”) plus Mortgage Insurance Premium (“MIP”) and HOA fees. Let’s look at those obvious costs first. Regarding insurance costs, shop around! I have observed substantial variation among insurers. Use an independent insurance broker to get competitive quotes from different carriers, or, if you get quotes from “captive” insurance agents, get quotes from three or more different carriers. If the home is in a flood zone, flood insurance can be another major expense. Regarding mortgage insurance premiums, don’t assume that you must pay MIP if you have less than 20% down payment. We can refer you to lenders who offer work-arounds regarding MIP with much less than a 20% down payment. Regarding HOA fees, some HOA’s require “working capital contributions,” “document fees” and “move in fees” that may take you by surprise. Ask about these. Now let’s look at some other, less obvious costs of home ownership. What about energy costs? These can vary substantially from one house to another. Find out what the current owner is paying for gas and electricity each month, and factor in whether the number of members in your household will vary from the seller’s when projecting what your energy costs will be. Once you’re under contract, you’ll be hiring a home inspector to evaluate that home. Make sure it’s an inspector who is qualified to assess the home’s energy efficiency as part of his inspection (at no extra cost). We can recommend such an inspector. Your inspector can also assess how much deferred maintenance there is on the house you buy. Get his advice on how much you might need to budget in coming years for maintenance and repairs, which can vary greatly from one home to another. Water consumption is big cost to consider, especially if the home has a lot of Kentucky bluegrass, which requires lots of water. Here’s a hidden expense you may not have thought of — health expenses due to bad indoor air quality. You recognize the smell of new carpeting, right? It’s not as innocuous as you might think. You might well be smelling VOC’s — volatile organic compounds. Some paint also contains VOC’s, and they’re less expensive than paint labeled “low in VOCs.” Ask your inspector to assess how many VOC’s might be in the air that could literally make you sick. Mold is another sickness-causing consideration. Your inspector will tell you whether a separate mold inspection is called for. He (or we) can recommend mold inspectors. Radon tests, costing $100-150, are also a good idea, since naturally occurring radon gas is a known carcinogen. Older homes have clay sewer lines that are prone to root intrusion and collapse, which is the homeowner’s responsibility. A $100 sewer scope could identify the need for a 4-figure repair that you might be able to get the seller to absorb, saving you that expense later. Published June 15, 2017, in the Denver Post’s YourHub section and in four Jefferson County weekly newspapers. The technique of offering or requiring continued occupancy for the seller after closing can be a useful and highly effective negotiating tool for both the buyer and the seller. It’s not used that much by most real estate professionals, but Golden Real Estate’s agents, including myself, have learned how to make highly effective use of it. From the Seller’s perspective, retaining occupancy of their home after closing is a great way to ease concern over having to move twice or not being able to coordinate the purchase of their replacement home with the sale of their current home. Many owners want to sell but realize that while a “seller’s market” is great for selling a home, it makes it harder to find and buy a home. The big fear is that the owner will sell their home and not have a place to live. This fear can be quite real and quite frightening, but a well negotiated sale that includes a post-closing occupancy agreement can effectively address this concern. I have personally used that device effectively in multiple transactions. Even when a seller has the means to buy their replacement home before putting their current home on the market, a post-closing occupancy agreement can play a useful role for the seller. Last year, for example, I listed an Arvada home for a couple that was already under contract for their replacement home. They had been approved for a bridge loan to finance their replacement home, intending to pay off that loan as soon as they sold their current home. We priced their home just right, so we got multiple offers and were able to sell their home for well above its listing price and have the closing date occur the day before the closing on their replacement home. They did not have to utilize their bridge loan and, in addition, we negotiated a free two-week post-closing occupancy so they could move from the current home to their new home in a leisurely manner. Having that post-closing occupancy agreement can reduce the risk of needing to move twice — once into a rental or a relative’s basement, then into the replacement home — but there’s no guarantee, of course. Only one of my clients during the current 3-year seller’s market has had to do so, and that was only because they decided to build a new house after they were already under contract to sell their current home. So it can be accomplished. Call me or one of our agents for a strategy conversation based on your own particular situation. When a seller is willing and able to move twice if necessary, I recommend not disclosing the preference for a post-closing occupancy agreement until after the multiple offers come in. That way, we don’t discourage offers from buyers who require immediate occupancy, but we can then work with competing buyers to see whether the best offer financially might also be also be the best offer in terms of move-in flexibility. From the Buyer’s perspective, offering occupancy after closing can be a useful tool in winning against competing buyers. Buyers who are currently renting on a month-to-month basis are the best candidates for this strategy, because they can offer an open-ended occupancy agreement or lease-back, confident that they’ll know well enough in advance of when they can move in, so that they can give the necessary notice to their current landlord. With this kind of buyer, I’m always happier as a buyer’s agent when the listing is not vacant, because then there’s the chance that occupancy after closing could be a bargaining point that favors my buyer. Of course, most other buyers are unable to offer such flexibility, but I always ask my buyers that question, explaining that if that is a possibility, it will enable them, with certain sellers, to make their offer more attractive than many competing offers. In conclusion, a post-closing occupancy agreement can be an effective tool for helping buyers win contracts for the house they want to buy. Combined with Golden Real Estate’s ability to offer free use of our moving trucks (and sometimes free labor), it has made us far more successful in winning bidding wars for our buyers than can be claimed by other brokerage firms. To win a contract for our buyer, we once even offered to move the seller twice at no cost. It worked! Published May 11, 2017, in the Denver Post’s YourHub section and in four Jefferson County weekly newspapers. This column was published in the Denver edition of YourHub from the perspective of Denver property owners. A version of the same article from the perspective of Jefferson County property owners can be found at www.JimSmithColumns.com . By the time this column appears in print, all Denver homeowners will have received in the mail a letter from the Denver Assessor declaring the “Actual Value” of their real estate holdings in the City & County of Denver. The same is happening in all Colorado counties. The letters give taxpayers until June 1st to file an appeal of that valuation which, if successful, could lower the “Assessed Value” (explained below) against which taxes will be levied for 2017 and 2018. Property taxes in Colorado are paid in arrears, which means that the property tax for 2017 isn’t payable until April 2018, and the property taxes for 2018 will be payable in 2019. The valuation you just received in the mail, however, is not a statement of your home’s current value. Rather, it is a statement of your home’s market (or “Actual”) value as of June 30, 2016, based on its condition on January 1, 2017. The good news is that even though your home’s value has continued to increase since last June and will continue to rise for the next year or two, you will only pay property taxes for the next two years based on what it might have sold for in June of last year. Nevertheless, many of us (me included) are going to be shocked at how much the assessor claims our homes have increased in value. To keep it simple, here’s an example using round numbers. If the assessor says the market value of your home for the last two years has been $500,000, your “Assessed Value” was 7.96% of that, which equaled $39,800. If your mill levy is 100, then your tax bill was $3,980 (100 x 39.8). Let’s say your home’s “Actual Value” as of last June 30 rose to $600,000, a 20% increase. Your “Assessed Value” will be 7.2% of that, or only $43,200. Thus, your tax bill, at 100 mills, will be $4,320, an 8.5% increase in taxes despite a 20% increase in market value. By the way, this is the first reduction in the assessment percentage since 2003. Great timing! And it gets even better. Unless the voters in a particular tax district voted to “de-Bruce” the mill levy, that tax district must lower its mill levy as much as necessary to keep its revenue from increasing beyond TABOR limits based on population growth plus any increase in the cost of living. Nevertheless, since your property taxes are the sum of multiple mill levies from various districts, that hypothetical rate of 100 mills that I used above might actually be lower this year, further reducing your property tax bill. 1) You can only appeal the assessor’s valuation by citing comparable sales during the 24 months prior to June 30, 2016. Unless your home was mischaracterized (wrong neighborhood, style, etc. ), all eligible comps are listed under “Neighborhood Sales” on the assessor’s web page for your home, so don’t bother looking elsewhere. 2) You must “age” every comp you cite in your appeal by about 1% per month, since the median increase in Denver residential property values was 25.9% over that 24-month period. Thus, if a comp sold in early Jauary 2016 for $500,000, you can’t cite it as a comp at the price, but must increase that price by 6% to its theoretical value as of June 30, 2016. To find your home on the assessor’s website, visit www.denvergov.org/property and enter your address. When your property is displayed, then click on the address and you’ll be able to click on a “Comparables” tab where you’ll be able to see exactly how the value of your home (the “Subject” property) was determined against 3 or more comparable sales identified by address. If you feel that those comps are not truly comparable to your home, you can click on the “Neighborhood Sales” tab and choose three or more other comparable sales and cite those in your appeal. You have to file your appeal (most effective, I’ve found, is in person) by June 1st. It’s no surprise that the number of listings “for sale by owner” is at a record low in our current real estate market. To some readers, that may sound counterintuitive — why pay a listing commission when it’s so easy to sell a home? But this is precisely when you need professional representation the most. When it’s “this easy” to sell a home, you still need to price a home just right and then be prepared to handle tons of showings and plenty of offers. Sorry to tell you, but you’re not so well equipped to handle these tasks! Let’s consider them one at a time. Pricing your home “just right” is not so easy. Maybe you give credence to Zillow’s “Zestimate” of your home’s value, but no Realtor does. Zestimates deserve even less credence than the valuations of county assessors. Like you, Zillow doesn’t have access to the more accurate valuation tools we use. The second valuation tool, which any member of our MLS can access — not just Realtors — is called Realist. When I’m preparing for a listing appointment, I pull a valuation on both RPR and Realist, and often they are close to each other — and far from the Zestimate! I’d be happy to email you both reports, so you can compare them to Zillow’s valuation of your own house. The third document I create in preparation for a listing appointment is a spreadsheet of comparable sales near the subject property, using an MLS program called Virtual Office. Above is an example of that spreadsheet which I created for an actual listing. I’ve obscured the addresses of the comps, but you can see they’re all townhouses. They’re in the same complex as the 2-bedroom, 2-bath townhouse with 1,172 square feet, plus an unfinished basement, that I listed. Except for having a finished basement, the comp I highlighted is identical to my listing. As you can see, it was listed for $230,000 and sold in 5 days for $241,700. The RPR report for my listing came in at $237,000 and the Realist report came in at $233,000. What would you have listed it for? I listed it for $235,000. Despite a lot of wear & tear from being a rental (especially the worn carpets), and despite a furnace and A/C that really needed replacing, we closed on it this week for more than the listing price — something we wouldn’t have accomplished by listing it for more. You can’t hire these services yourself, so how are you going to handle all those showing requests — al-hough you won’t get as many by not listing your home on the MLS? Worse than the showing requests is the flood of solicitations you will get from agents whose primary source of business is prospecting “by owner” listings. There’s only one known cure for this annoyance, since the no-call list doesn’t apply when you advertise your home for sale, and that is to list your home with one of them (or us). Only then will the calls stop! Back to the value of a showing service. They screen each caller to make sure they are licensed. After calling you to approve the showing (unless you’ve said that’s not necessary), they give the lockbox code and showing instructions to the showing agent, along with your own detailed instructions such as “remove shoes or use booties” or “dog in garage—don’t enter.” Later, the showing service sends multiple email requests for feedback to each agent and forwards responses to your agent and/or you immediately. You need that feedback! Okay, you’ve listed your home “by owner,” and you have several agents submitting offers. You’re the only party to your transaction without professional representation! How do you negotiate those multiple offers to your advantage? Trust me, having an agent experienced in that process is worth money in your pocket and gray hairs off your head! Few agents know what the 10 agents at Golden Real Estate know, which is how to “work” multiple offers to your advantage. If an agent sells listings in 1 or 2 days, he or she does not use our approach and probably won’t get you the best deal. When you see 0 days on market, it means there was little or no possibility of working with competing offers. That does not serve you. Published April 27, 2017, in the Denver Post’s YourHub section and in four Jefferson County weekly newspapers. Last week I mentioned how Golden Real Estate was honored for coming in third among metro brokerages of our size in the number of transactions completed in 2016. In this week’s column, I’d like to share my personal strategy for success in real estate, which has evolved into a company-wide strategy serving all agents — and benefiting clients. Decades ago I adopted what I thought was a quote by Confucius. My sister had it posted on her refrigerator. Thanks to Google, I discovered that it wasn’t a quote by Confucius, but it could have been. “Concentrate on giving, and the getting will take care of itself.” That philosophy underlies this column and its success in attracting clients for me and our agents. The time most real estate agents spend prospecting, I spend coming up with topics on which I can educate myself and then share that knowledge with my readers. That’s how journalism works. A reporter is given an assignment, learns all he can about it, and then reduces it to a concise article that summarizes what he learned. That’s what I do every week — learn more than I already know about a given topic, then share what I have learned. I never run out of topics to write about which educate the public — and thereby myself — regarding some aspect of real estate. Sometimes, I’m able to clarify or contradict statistics or statements which I see in the press or on TV. For example, is the market cooling down or heating up? Are we in another bubble? As a Realtor, I have access to raw data that allows me to address such topics in a way that general assignment reporters can’t. That principle expresses itself in me by being a news and public affairs sponge. I love listening to music as much as the next person, but my car radio is always tuned to the only all-news radio network we have — NPR. I often hear local real estate stories, since it’s a popular topic these days, but being well informed on other national and world affairs is also important to me. On the other hand, I have little patience for talk radio, whether conservative or liberal. I’ll listen to analysis and hard news, but I consider opinions a waste of my attention. In terms of the day-to-day practice of real estate, I know I can’t do it all, so I surround myself with a support team. That team includes, among o thers, a transaction coordinator, a stager, a photographer, a drone pilot, several lenders, inspectors, and a handyman (who works only for our clients). That said, I don’t over-delegate. I like to get my hands dirty. I’ll put signs in the ground and do my own narrated video tours of each listing, including for my broker associates. Our office manager, Kim Taylor, helps with every aspect of listing and selling homes, but I’m happy to show listings, hold open houses, enter listings on the MLS, create websites for each listing, etc. I don’t just have a team, I’m part of the team. Experience has taught me that “to make money, you need to spend money,” and I never forget that. One example of an expenditure that paid off was our moving truck. I bought our first one at a convention in 2004 and it has been so useful to clients and has built so much goodwill for us among non-profits and community organizations, that I bought a second one last year. In 2008 I also invested in a storage shed for the moving boxes and packing materials that we provide free to clients. Another “investment” was the purchase of a 10’x20’ chain link enclosure for collecting polystyrene (“Styrofoam”) for recycling. We take at least one truckload per month to a reprocessing facility in Denver, keeping over 200 cubic yards of that material out of landfills every year. Our investment in 20kW of solar panels not only powers our electric cars and our office, it allows us to provide free EV charging to the general public. Both these expenditures send a statement about our values that resonates with our clients and prospective clients. Back to real estate, we have been early adopters in sometimes expensive ways to improve the quality and exposure of our listings. Years before they were adopted by other brokerages, we invested in drones to take aerial photos and videos of our listings. 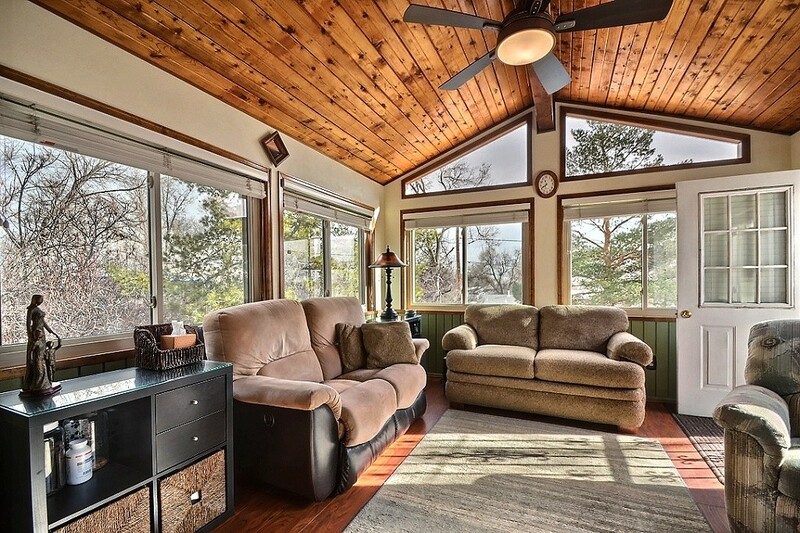 We also were early adopters of HDR (High Dynamic Range) technology for still photographs of our listings. This produces magazine quality photographs in which every element of a picture, including the view out each window, is perfectly exposed. By now, you may be thinking I’m a workaholic, but Rita and I do enjoy a personal life, going to the theatre, traveling often, and watching many entertainment programs at home. But when my phone rings (except in a theatre! ), I answer it. I feel my clients deserve that. Some listing agents put under “broker remarks” (which their sellers don’t see) that “Seller requests no Sunday deadlines.” What they’re really saying is that they don’t work on Sunday. That’s not us! Published April 20, 2017, in the Denver Post’s YourHub section and in four Jefferson County weekly newspapers. Refinance Calculator: Should I Refinance My Mortgage?